MOSCOW, April 14. /TASS/. /TASS/. Saudi Arabia has expressed support for the actions and plans of Sudan’s transitional government, Al Arabiya TV channel reported on Saturday citing the Kingdom’s authorities. According to Al Arabiya, Riyadh supports the plans announced by Sudan’s interim military council and plans to provide humanitarian assistance to the African country, including fuel, medicines and food. Saudi Arabia also expressed hope that actions undertaken by Sudan’s transitional government will serve the interests of the Sudanese people and will lead to restoring stability and security in the country. On April 11 Sudan’s military ousted leader Omar al-Bashir, following months of protests against growing prices. The parliament was dissolved, and the constitution was suspended. An interim military council was established to oversee the country’s transitional period for the next two years. 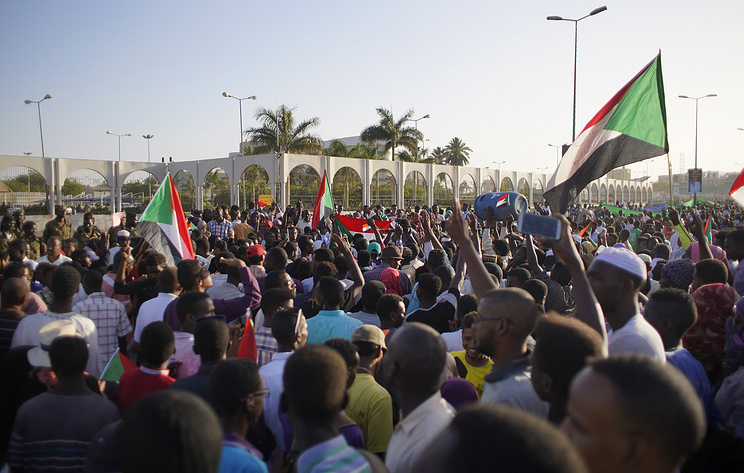 The transitional government also lifted the night curfew that has been in force in Sudan for three months. Hey Buddy!, I found this information for you: "Saudi Arabia expresses support for Sudan’s transitional government — media". Here is the website link: https://russophile.org/saudi-arabia-expresses-support-for-sudans-transitional-government-media/. Thank you.